The International Surfing Association (ISA) confirmed Costa Rica as host of the 2016 ISA World Surfing Games. ISA World Surfing Games is an Olympic-style team competition that features National Surfing Teams consisting of up to four men and two women. Last year 27 countries were represented by 132 surfers. The expectation for 2016 is even better, as surfers will be attracted to compete in the world renowned and powerful waves of Costa Rica. 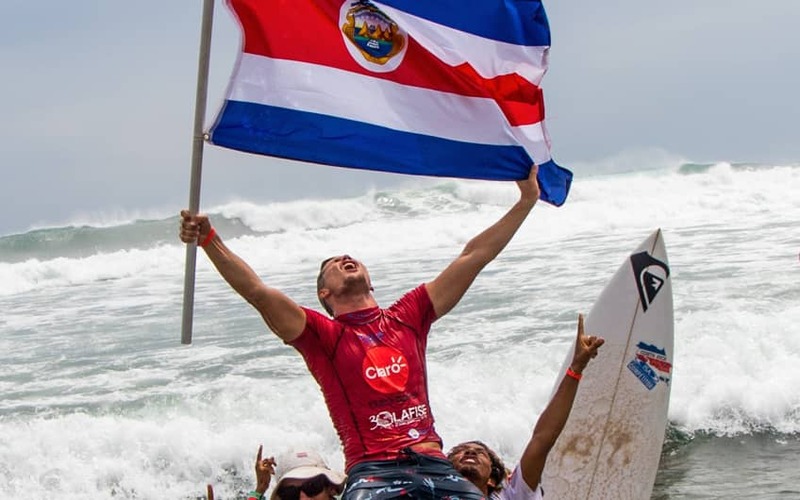 Costa Rica’s National Team was the champion of the 2015 ISA World Surfing Games and now, they have the opportunity to defend the title on our local waves, and attempt to win consecutive titles for the first time since Team Australia did it in 2008. This event will take place in Jacó beach from August 6-14 and brings the competition back to the country since the successful 2009 edition in Hermosa beach. Additionally, the International Olympic Committee (IOC) is considering to include Surfing on the Sports Programme for the Tokyo 2020 Olympic Games and the final decision will be made at the IOC Session in Rio this August. This could potentially lead the 2016 ISA World Surfing Games to be the first major World Championship to take place with Surfing as an Olympic sport. This is a great opportunity for Costa Rica to keep moving forward as destination, providing quality services for important events like ISA World Surfing Games. We encourage our National Surfing Team to train hard and defend the World Champion title in our home country.